Movies and TV are full of zombie-related fare, so it’s kind of silly to want more of it out there, but the short film Super Zero, released earlier this year, is an enjoyable romp with a limited scope that deserves broadening in a more mainstream fashion. Check it out below and see if you agree. The Walking Dead may be on its annual midseason hiatus, but we’ve definitely had plenty to talk about in regards to AMC’s involvement in the zombie apocalypse. We’ve been hearing about the spinoff, or companion series as they appear to prefer it be called, now titled Cobalt, for some time, but the network has recently revealed details and pieced together the core cast, and they just added another actor. The upcoming zombie drama will feature Kim Dickens as the female lead. Dickens is the forth of the major part to be cast and, according to Deadline, she joins Cliff Curtis, Frank Dillane, and Alycia Debnam Carey. I don’t know much about the two younger actors, but you’ve seen Dillane in one of the Harry Potter movies playing Tom Riddle, and Aussie Debnam Carey made her American debut last summer with Into the Storm, and can be seen playing a Grounder leader on The CW’s The 100. Curtis and Dickens, however, are more known quantities, and should serve as a solid anchor for this new series. The Walking Dead: Did Robert Kirkman Just Say This Major Character Is Next To Die? If you’ve ever watched AMC’s mega-hit The Walking Dead, then you know that no one is safe. That’s kind of their jam, that anyone can die at any time. Robert Kirkman’s comics are the same way, but even though the series follows the same rough pattern as the source material, that doesn’t mean characters that are still alive in on the pages can’t die off on screen. They’re not afraid to kill of kids, the elderly, people you love, people you hate; you name it, they’ll kill it. Kirkman even recently hinted that one fan favorite could be next on the chopping block. 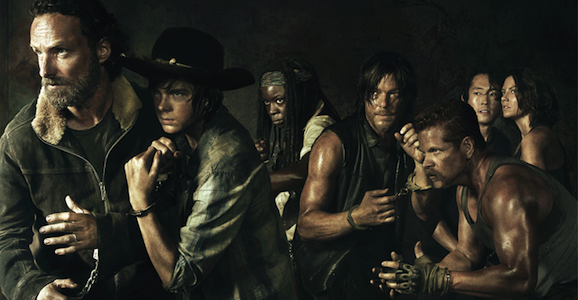 There are SPOILERS beyond this point if you’re not 100% caught up on The Walking Dead. The Walking Dead has been going strong for four-and-a-half seasons at this point, but we’ve really only ever explored Georgia. No offense to the Peach Tree State, but we’d like to see what’s going on elsewhere in the world, to check out how other folks cope with being overrun by hungry undead cannibals. That’s where the long-gestating spinoff comes in. We know that it is called Cobalt, we even know a couple of the main actors, but we weren’t sure where it is set, until now. And the setting couldn’t be any more different from rural Georgia, as the action takes place in Los Angeles. 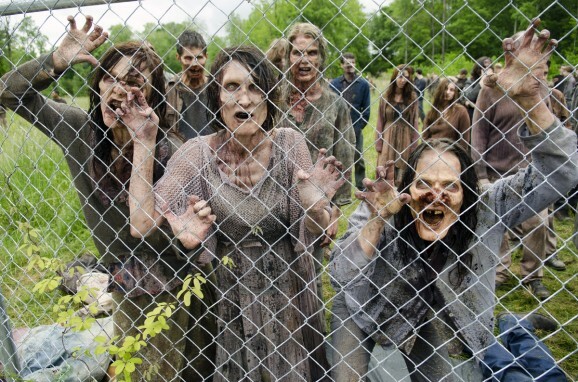 TV Line reports that the zombie apocalypse is indeed spreading to the City of Angels. Not only is that more than 2000 miles away from Atlanta, but it’s also a totally opposite environment. Sure, the core series has ventured into Atlanta a time or two, but they primarily stick to the small towns and less densely settled areas. Setting the series in a major urban center, in such a population center, automatically makes this a different kind of narrative, which is exactly what we want out of a new show.